Autumn is here and with it comes the indulgence of curling up on the sofa in the evening with a warm drink or a cheeky glass or two of wine. A key element to happily settling down into the sofa on an autumn night is comfort, and what better way to achieve this than with new cushions, either for yourself or a loved one. New cushions don't only add that extra cushy feeling to your sofa but they can also help give your room a bit of a lift for a new season. 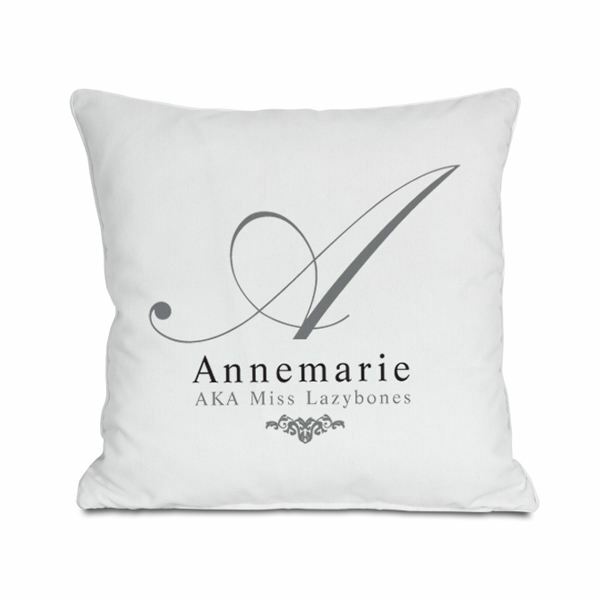 Our great range of personalised cushions can not only help you to do this to your own home, but are also a thoughtful way of giving a gift that is beautiful, personal and useful. 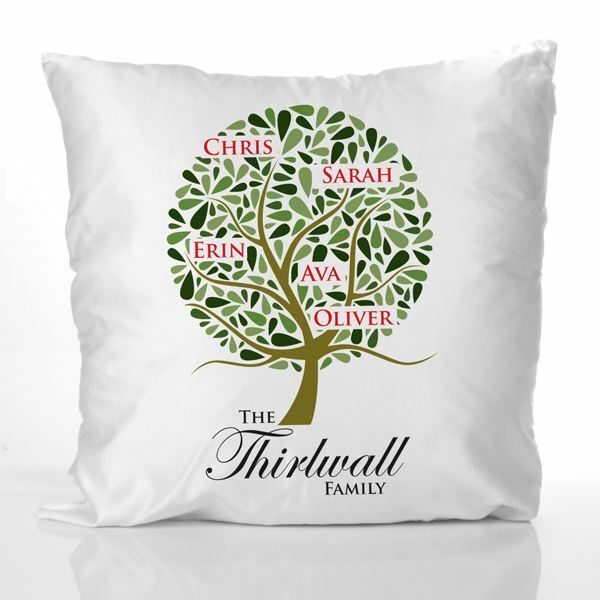 The design on this cushion helps give it a homely feel as it enables you to have family members' names printed between the leaves. It is also great for every house as the natural colours of the main design will match most décor. This lovely cushion offers an original design with a personalised touch that can sit pride of place on any sofa. The italicised letter on this cushion is elegant and creates a simple design that is clean and modern. The personalisation options also create a great opportunity for something special to be written beneath the letter. This personalisation can be anything from a thought-felt message of love, to something cheeky that will contrast with the design and cause a smile upon closer inspection. This cushion can have any design or photograph printed onto it from an image of loved ones to cherished pets or holiday pictures (or why not get one of your family in autumn to stick with our seasonal theme). This cushion can be made to completely fit the décor of your home or it can be a great but unusual gift for that person who always says they don't want a present. A great addition to any household that has welsh heritage or is interested in other languages. 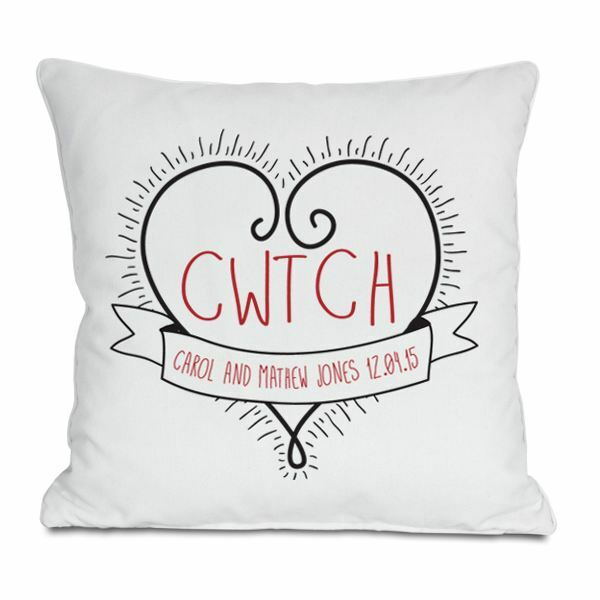 Cwtch is the welsh word for cuddle making it perfect for a cushion to snuggle into on a chilly autumn evening. This cushion can make a great treat for yourself or as a unique gift for someone who likes a good cwtch. This cushion gives you a way to add a little bit of modern fun to your sofa. The moustache can have any personal message written beneath it and the simple design will go with almost any décor, bringing a little quirkiness to your soft furnishings. We moustache you though, do you know anyone who would love this unique cushion on their sofa? If you want more information on our cushions then why not chat to us on social media?